When it comes to accessories, sunglasses are one of the essentials. Although you don’t need to own a lot of pairs, you must have a least one, and they must be good. 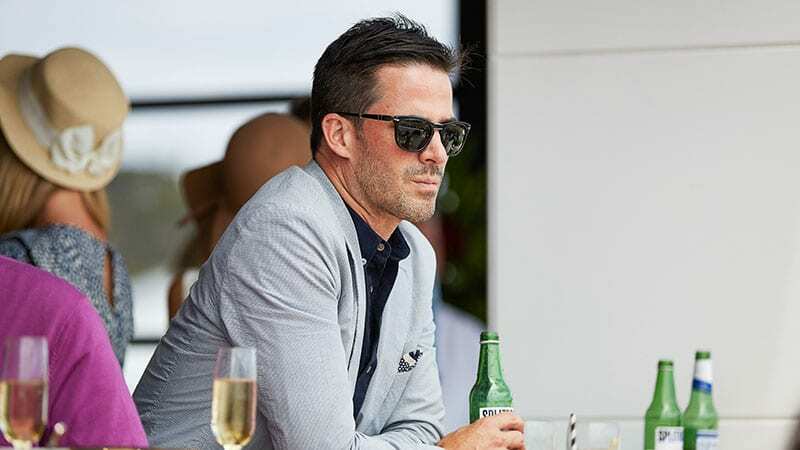 Not only do sunglasses protect your eyes from the sun and eliminate glare, but they also make you look sufficiently cooler, provided you’ve bought the right style. Unfortunately, finding that perfect pair, which makes you appear stylish and full of swagger, can be difficult. 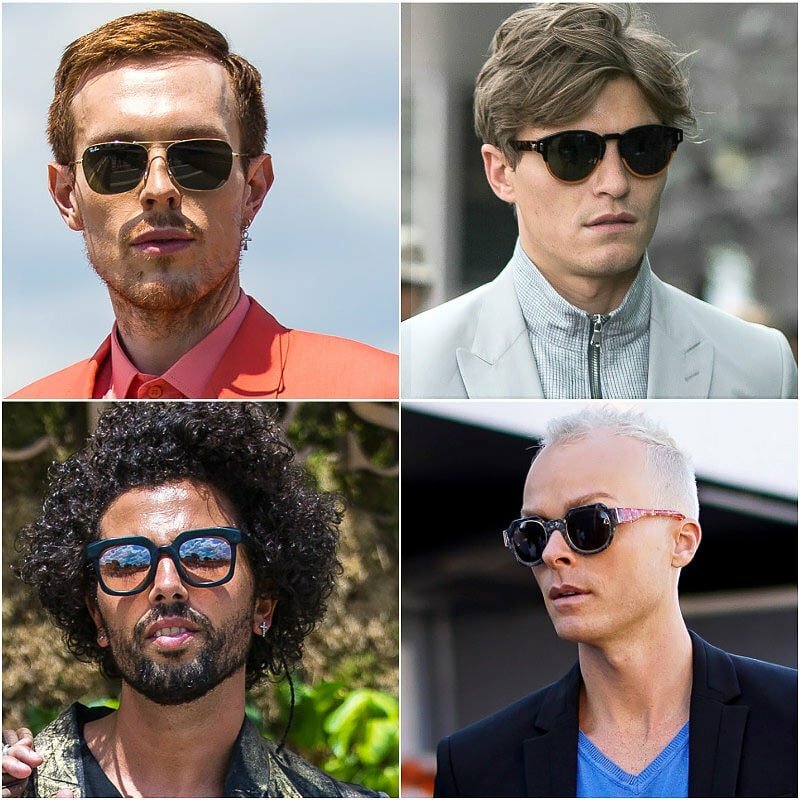 It comes down to picking the right type of sunglasses for your face shape. Although this isn’t always an easy task, the process can be made simple by following this helpful guide. 1 How Should Sunglasses Fit? 2 What is My Face Shape? 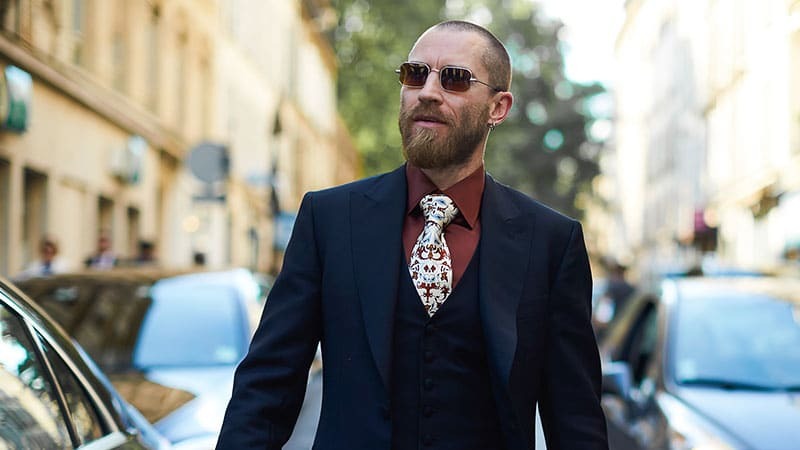 Just like your tailored suits, to appear polished and stylish, your sunglasses also need to fit right. Not only is a proper fit is more flattering in appearance, but it’s also more comfortable and will best protect your eyes from the sun. While the right fit will mean something different to everyone, there are some guidelines to follow. Start by opting for sunglasses where the width of the frame matches the width of your face. You also want to be able to see at least half of your eyebrows above the frames and have your eyeballs sit precisely in the middle of each lens. 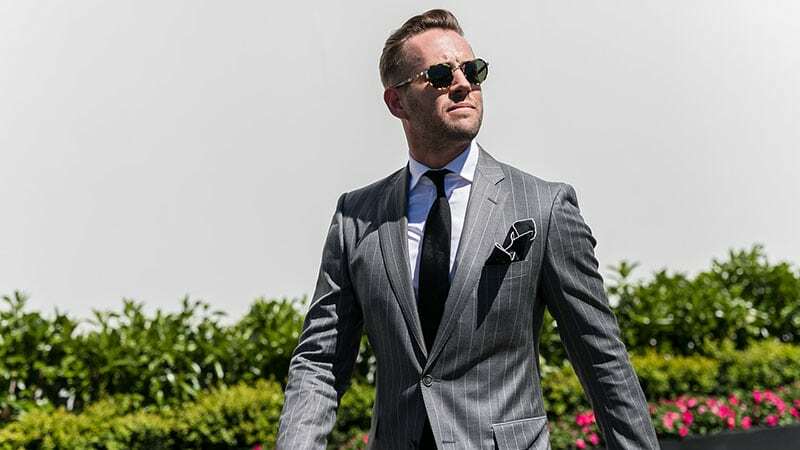 Finally, the arms should fit nicely around your ears, and the overall positioning of the sunglasses should centre between the top of your hairline and edge of your chin. 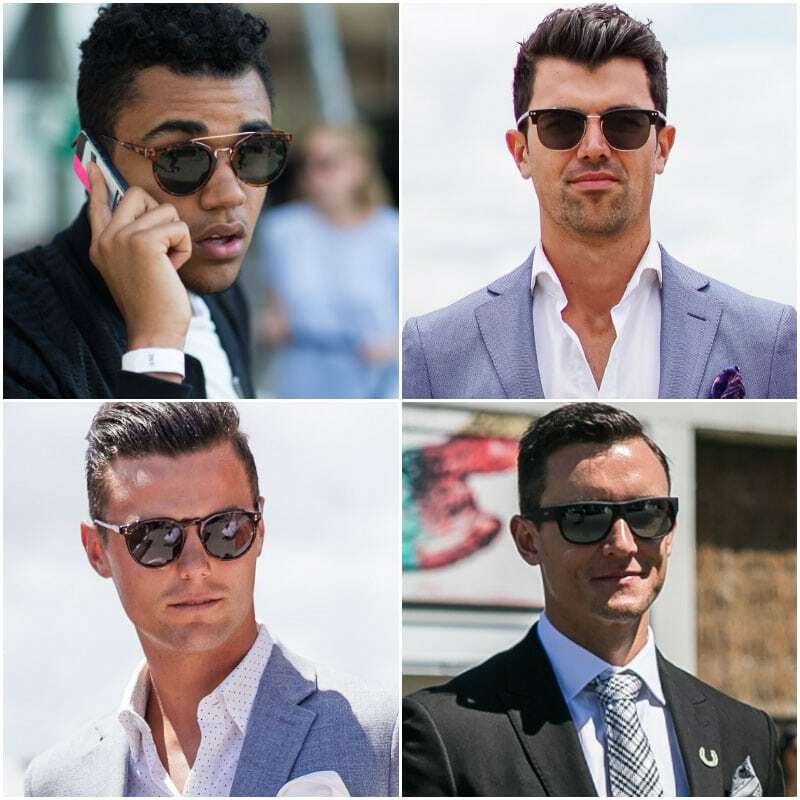 The key to finding your perfect pair of sunglasses is to know your face shape. It’s the biggest factor in determining which glasses will look good on you and which won’t. Although it may not be something you’ve considered before, there’s no need to start stressing about whether you’re a rectangle or a square. This handy quiz is designed to help you quickly and easily discover to which category you belong. Now that you’ve discovered your face shape, it’s time to find out what sunglasses will work for you. After all, what works for a triangle face shape won’t necessarily suit a diamond. Oval face shapes are a great type to possess. They’re versatile and can suit almost any style of sunglasses. The best way to find your favourite is by trying multiple types. Larger frames will accentuate your features, but be careful of arms that hang too low, as these frames may make your face appear longer. 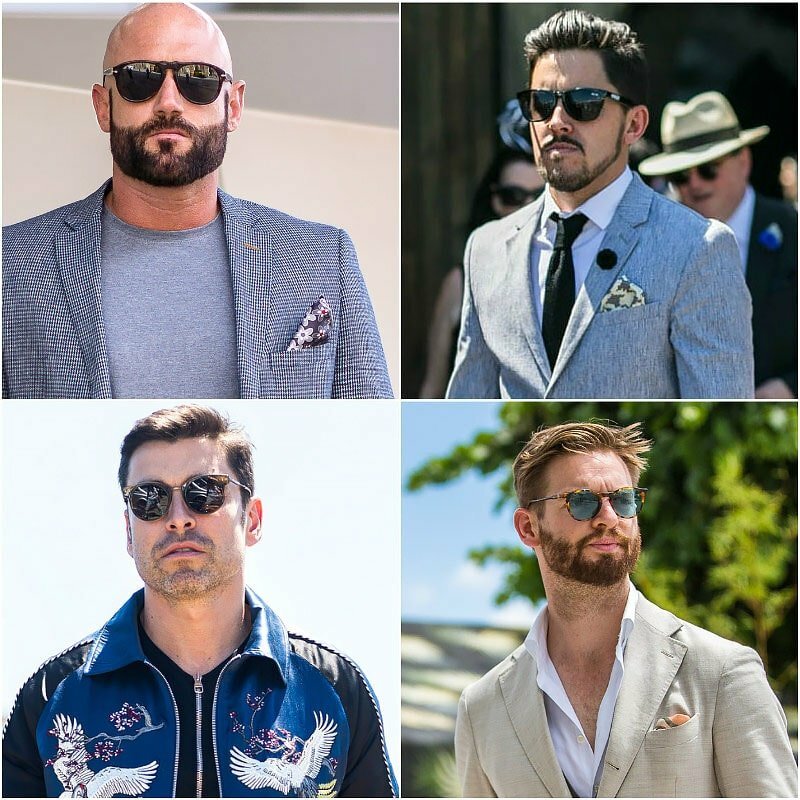 Aviator and D-frame glasses make a good option for a fresh look while square styles will sharpen your features and provide a more structured appearance. Square faces are characterised by their strong jawlines and broad cheekbones. The defined look is well suited to softer styles of glasses, such as round and aviator shapes. If you have bold features, you can opt for larger sunglasses, otherwise, stick to small or medium styles. D-frame sunglasses are another great option, but they must have soft edges, and minimal detailing or they could overwhelm your face. 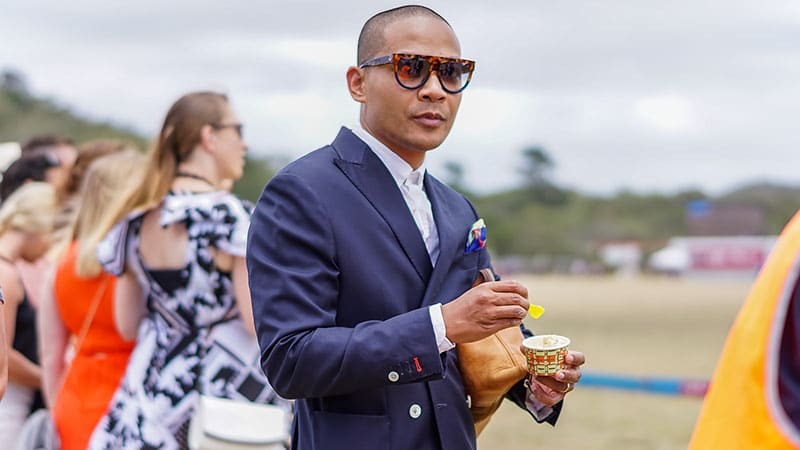 Gents with rectangular face shapes can use sunglasses to create a sense of balance and soften sharp lines. If you have a rectangle face, be sure to choose glasses that don’t extend beyond the widest part of your face. Also, opt for larger styles to avoid minimising your features. Round sunglasses and aviators will work well for you, but be sure to choose shorter aviator styles. Likewise, square frames will also work, but be sure to pick a pair without sharp corners. If you have a diamond face shape, then you most likely have a defined chin and broad cheekbones. To find your perfect sunglasses, try varieties such as retro, square styles with soft edges and round glasses. While round shapes will soften a sharp chin, more structured styles will balance wide cheekbones. 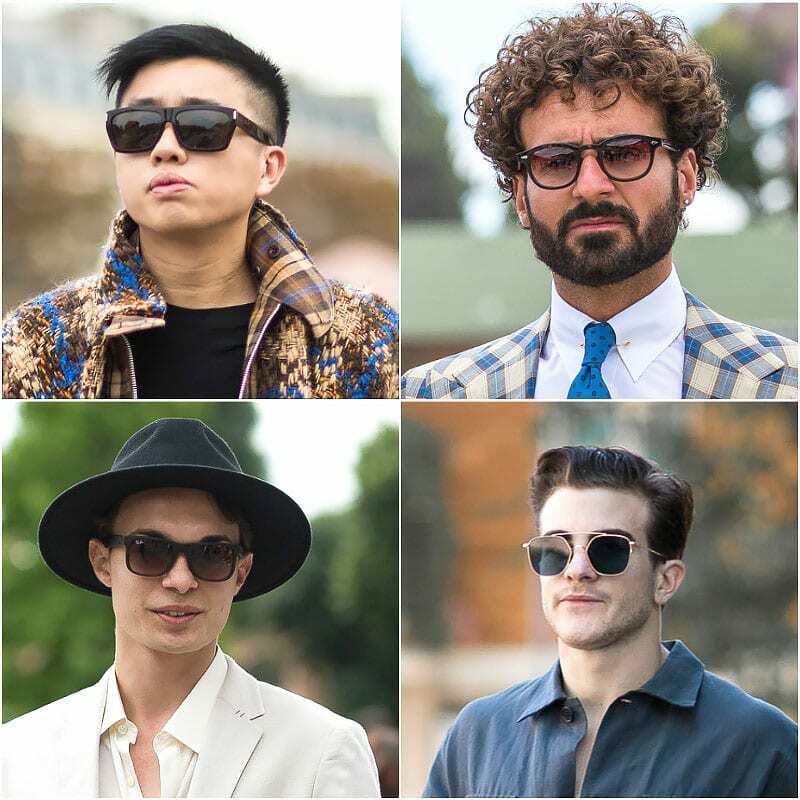 It’s these characteristics that also make D-frame sunglasses an excellent option for gents with diamond faces. Round faces are free of angles and feature curved jawlines and broad cheekbones. If your face is round, you should aim to create definition with your sunglasses. Start by making cheeks appear slimmer with frames that sit slightly larger than your face. Then, choose glasses that are angular and will help give your face structure. 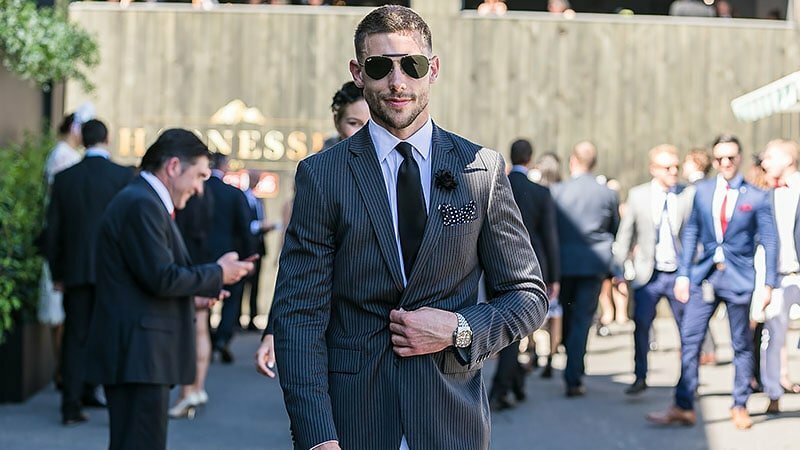 D-frame and square styles are good options for achieving a great look, but aviators can also work, especially if you’re rocking a tall hairstyle, such as a pompadour. Round frames are trickier to pull off and accentuate the shape of your face, so only wear them if you’re confident they suit. Triangular face shapes feature a larger jaw combined with smaller cheekbones and forehead. 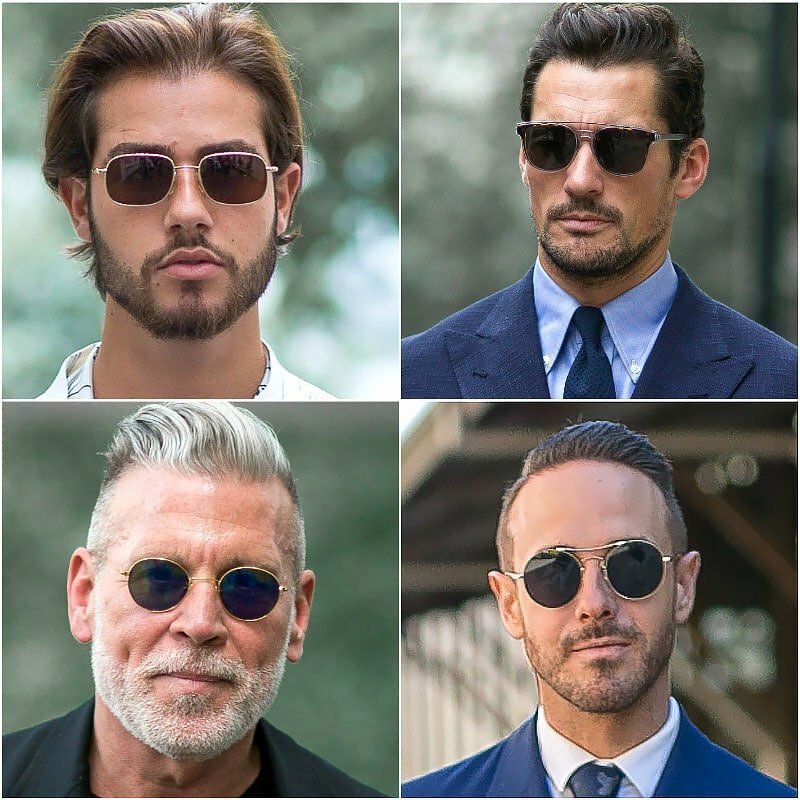 When wearing sunglasses, gents with this face shape should choose styles that balance out their bottom-heavy face. You can achieve said balance by opting for medium and large sizes of glasses. It’s best to avoid small and minimal options as they won’t draw enough attention to your eyes to balance your overall look. When it comes to style, choose between D-frames and round shapes to soften your appearance. Heart-shaped faces will benefit best from small and medium sunglasses that balance out a slender jaw and larger forehead. D-frame and medium aviator styles are the ideal options as they elongate the face downward with their high arms and help to add weight to the bottom half of the face. While round styles can sometimes work if they feature high arms, they can be difficult to get right. No matter which of these glasses you choose, be sure to opt for a good fit, which doesn’t sit too far in or out on the sides. 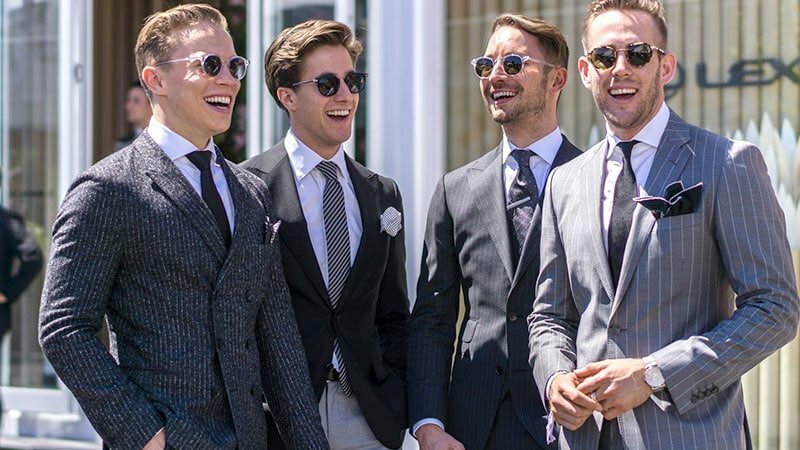 There are different types of sunglasses and knowing the difference between them will help you greatly in picking the pair that suits you best. Most sunglasses are defined by their shape, which makes it easier to remember. 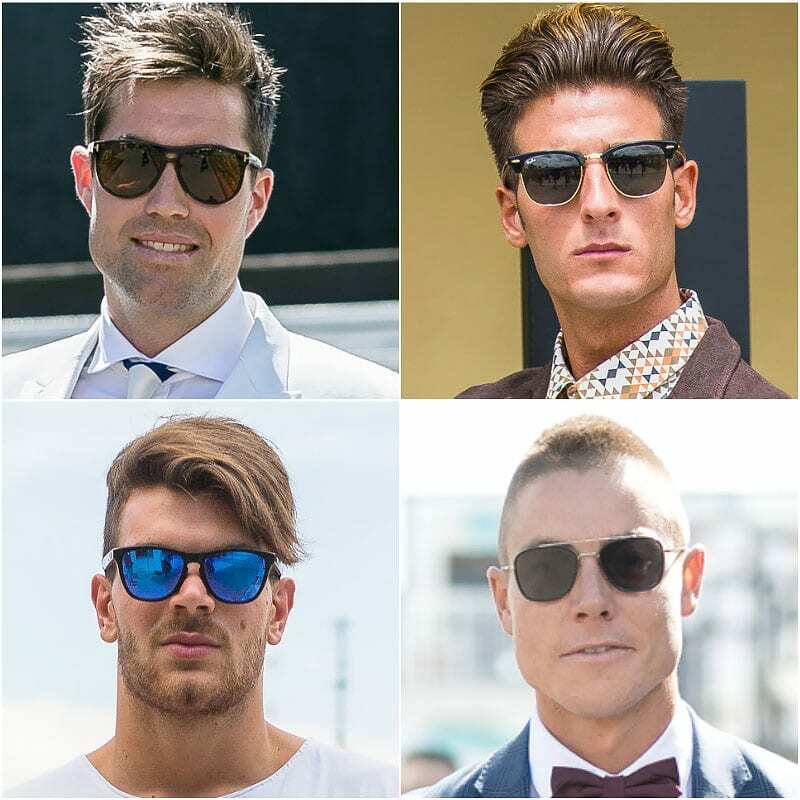 The main families which sunglasses can belong to are aviator, round, square, and D-frame. Aviators have long been a favourite style of sunglasses for gentlemen. The unique, teardrop shape, metal frame glasses were originally developed to protect pilot’s eyes during flight. Since that time, aviators have grown into an essential style for gents and become a favourite amongst those who are fashion inclined. The long shape of aviators is also useful for creating the appearance of a longer face and can be used to balance features. Unlike aviators, which get their name from their history, round sunglasses are named after their shape. The distinct style of glasses features a round frame and lenses, which create a unique appearance. 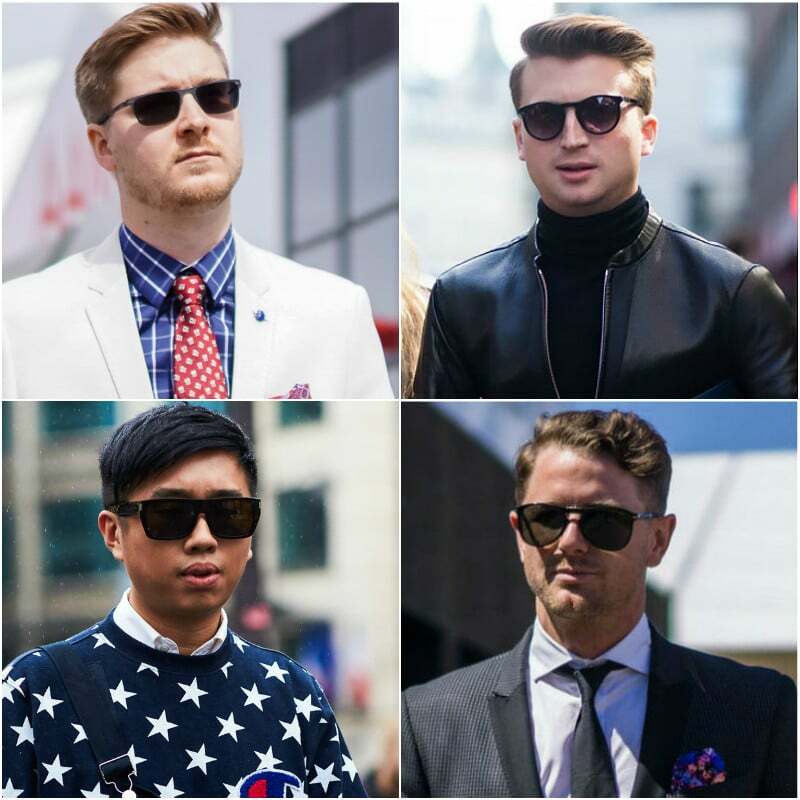 While round sunglasses can be a stylish choice for gents, they can also be difficult to pull off. When paired with the wrong face shape, round glasses will look noticeably unsuitable. If worn on the right man, the style can create a statement look. Square sunglasses are essentially the opposite of round glasses. While round frames are soft and curved, square varieties are sharp and angular. This contrast in shape makes the two styles best for different faces. While round glasses are perfect for softening bold features and sharp jawlines, square styles are ideal for adding structure and definition to round jaws and subtle cheekbones. D-frame sunglasses are one of the more contemporary styles of glasses and a popular choice for stylish gents. Like round and square sunglasses, D-frames also get their name from their shape. Featuring a flat, top bar and rounded rims, the shape is like two ‘D’s laying horizontally. Although the unique silhouette is similar to aviators with its high arms and low, rounded lenses, D-frame glasses are often distinguished by their straight top, non-metal frame, and usually smaller size.